Looking for spellbinding entertainment to make your events unforgettable? Miriam's storytelling weaves traditional fairy tales and folk tales into a tapestry of entertainment to enchant both children and adults. 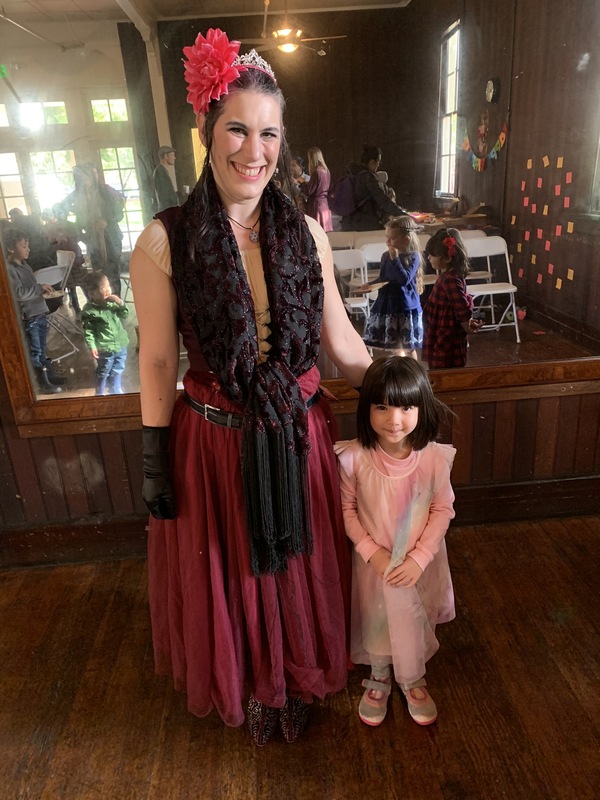 Perfect for children's parties, private events, school and library entertainment, and more, Miriam customizes each performance to your event's needs. She can use stories as a medium for building cross-cultural understanding, creating personal transformation, and of course, creating fun and laughter. Let her show you the power of story! 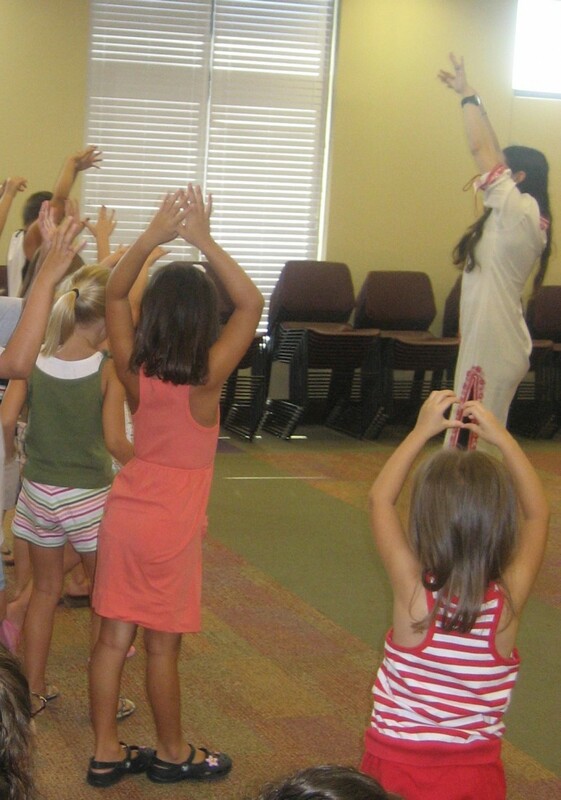 As a trained folklorist, she can also include a talk on the history of storytelling or folk and fairy tales for educational events. Miriam was fantastic! She could really read the room and the kids were captivated. The ensemble piece was fun and her charisma was contagious! Perfect for my daughter’s birthday! 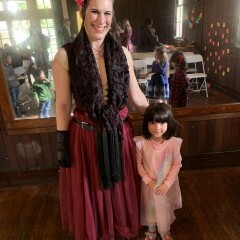 My daughter really wanted a storyteller for her 9th Birthday party, and I’m so glad we found Miriam! 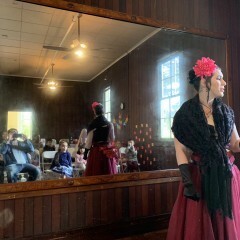 She’s an extremely talented storyteller and captivated the whole group of fifteen kids. She was also easy to work with and very thoughtful and accommodating about customizing her selection of stories for this particular party. She’d be a great addition to any party! Miriam began storytelling in college as part of a Medieval and Renaissance recreation society. Within the society, her storytelling skill earned her the honor of being made a Companion of the Troubadour and appointed the Baronial Bard. 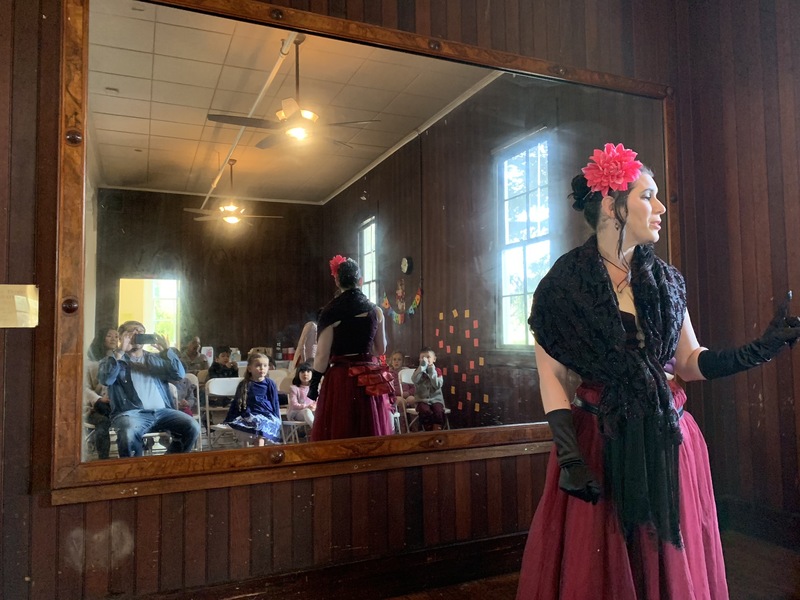 After an apprenticeship with Boston area storyteller Alex Newman, she began performing for schools, libraries, bookstores, cafes, fairs, festivals, and parties. An interest in theatrical storytelling inspired her to develop a 25-minute personal narrative story based on her quest to find the tomb of al-Mu'tamid, the 11th century poet-king of Seville, in Aghmat, Morocco. She performed the piece, "Touring al-Mu'tamid," at FronteraFest in Austin, TX and followed it several years later with "A Life for Love and Pleasure: Remembering Mata Hari." In TX, she also performed theater with the Vortex Repertory, Austin Bike Zoo, and Chaotic Theater. She received the 2006 Austin Circle of Theatre's award for Best Ensemble Performance for her work as a Fury. She received her MA in Folklore from The University of North Carolina at Chapel Hill.